Broad City Debuts at the Parkway! 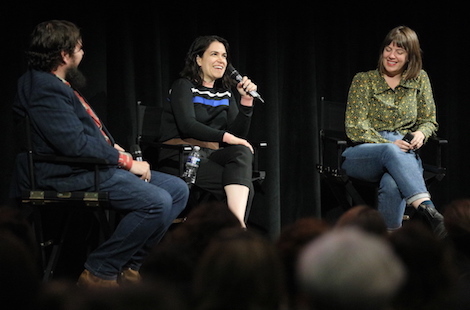 On Wednesday March 20, series co-creator Abbi Jacobson debuted the penultimate episode of BROAD CITY for a sold-out audience at the Parkway! Jacobson was joined by season 5 cinematographer Ashley Connor (MADELINE’S MADELINE), The MISEDUCATION OF CAMERON POST, PERSON TO PERSON) to present the one-day-early preview screening of “Along Came Molly.” A conversation and Q&A followed the screening.